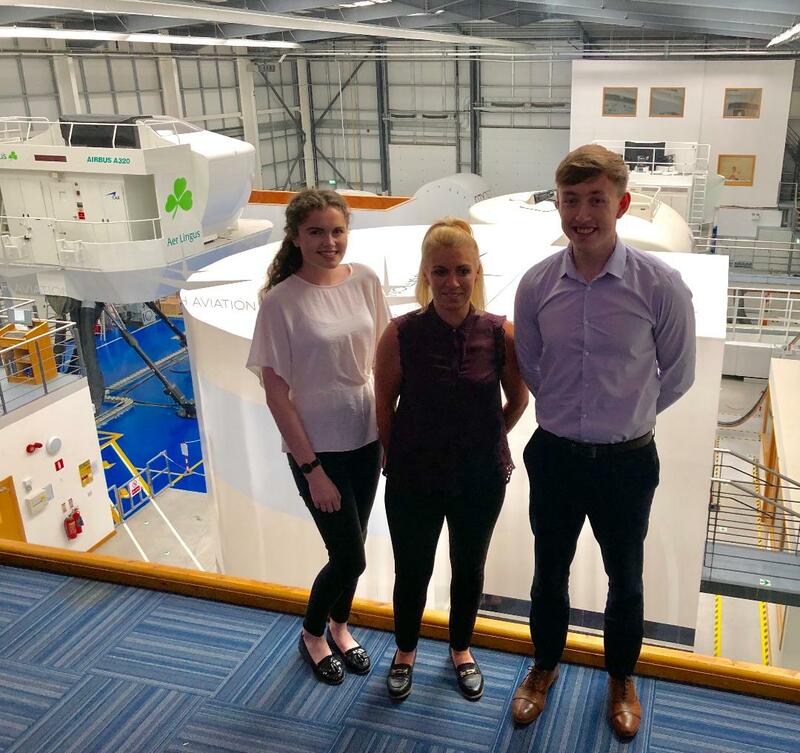 ASG is an approved Air Training Organisation (ATO) of the European Aviation Safety Agency (EASA), regulated by the Irish Aviation Authority (IAA) and permitted to deliver training for the award of an Airline Transport Pilot Licence (ATPL). All course material is delivered digitally to students by iPad and students are supported through our online learning management system and, in class, by our subject matter experts. Our training philosophy is to provide premium quality instruction which will benefit prospective airline pilots throughout their career in aviation, from job interview to operations as an Airline Pilot, and not simply to pass the theoretical knowledge examinations - although we know that's important too. Each one of our ATPL instructors are selected for their practical industry experience and expertise in their theoretical domains. While many ATO's use their day-to-day flight instructors for ATPL instruction, by using subject matter experts (directly from industry) we can focus on providing the highest quality of training. All of our instructors are taken directly from industry, including: current airline pilots, type rating instructors, aircraft and avionics technicians, human factors specialists, military pilot instructors, aeronautical engineers, and air traffic controllers, to name but a few. Our instructors are truly passionate about what they do and want to pass that on to the students that they teach. By specialising only in providing ATPL theoretical knowledge training, we can focus on providing the best possible preparation for your career in aviation. It is our goal to become the market leader in the provision of high quality theoretical knowledge ATPL training. We are approved to conduct training at a variety of training locations, and our offices are based in Dublin City Centre, Ireland. Through our high quality instruction, aside from being more likely to excel at your exams, you are likely to retain this important information, be more prepared to land your first airline job, and operate more effectively throughout your career as an Airline Pilot. Don't just "tick the box". ​The choice as to where you complete your theoretical knowledge training is an important one, and the determining factor should be quality. Take our full-time classroom residential ATPL theoretical knowledge course and receive almost 700 hours of classroom instruction, and have full-time access to our panel of subject matter experts. The course duration is 6 months duration on a full-time basis. Unable to commit to full-time learning? Take the course at your own pace through distance learning through our online subject matter expert approach, whereby our experts are there to help you every step of the way. We will also provide you with high quality refresher classroom training prior to your exams. You can commence this course at any time, part of which will involve ten days' of classroom refresher training in advance of your ATPL examinations. Information for students affected by "Brexit"
As a result of the regulatory uncertainty which has been created by “Brexit”, we are receiving a significant number of queries from concerned students enrolled in UK ATO’s and/or completing ATPL exams under the UK CAA who are now considering completing their EASA ATPL exams through the Irish Aviation Authority (IAA). Below are the responses to some of the most frequently asked questions which we are receiving. Will my EASA ATPL exams be valid following the UK’s departure from the EU at 11pm on 29 March 2019? While negotiations are ongoing regarding the UK’s future status in EASA, the UK CAA’s website (https://www.caa.co.uk/our-work/about-us/eu-exit) states that, if a hard Brexit were to occur, “UK issued licences and approvals (issued when the UK was an EASA member)…will no longer be recognised by EASA for use on EASA Member State-registered aircraft”. Furthermore, EASA (https://ec.europa.eu/transport/sites/transport/files/legislation/brexit-notice-to-stakeholders-aviation-safety.pdf) has stated that “Certificates issued before the withdrawal date by the competent authorities of the United Kingdom on the basis of the provisions of the Basic Regulation and its implementing rules will no longer be valid as of the withdrawal date in the EU”. Do I have to transfer my UK Private Pilot Licence (PPL) to an EASA member state in order to allow me to sit my ATPL exams in an EASA member state? No. The only requirement to commence EASA ATPL Training is to hold an ICAO PPL. Since the UK CAA will continue to be a member of ICAO, there is no requirement to transfer your PPL to an EASA member state. Once you complete the ATPL’s with the IAA you will hold the EASA ATPL Theoretical Knowledge credit. Thereafter, you can use this credit to complete your EASA CPL/IR practical flight training in any EASA member state. Can I transfer examination passes and training already completed from the UK CAA to another member state or to another EASA ATO such as the IAA? Unfortunately, this is not currently possible. Students can either transfer to an EASA ATO and commence ATPL training and examinations again or complete 14 ATPL exams through the UK CAA and hope that there is some form of recognition of your examination passes following the UK’s exit from the European Union (EU). What do I need to do in order to transfer and complete my examinations through the Irish Aviation Authority (IAA)? Enroll with an Irish registered EASA ATO. Providing you meet the pre-entry criteria, you can commence training immediately. If you were to choose us for your training, we will need the attached form completed (together with a copy of your PPL / Photographic ID) in order to get you setup immediately on our learning management system. Please also feel free to e-mail us at atpl@asg.ie to discuss your training needs. Our application form can be completed electronically and e-mailed directly to us. 12 months’ access to the ‘Padpilot' Online Computer Learning Management System providing a learning structure and objectives for each subject. ​Not included in the course price but required for course commencement are: a Jeppesen Student Route Airway Manual, electronic non-programmable calculator, a CRP-5, rulers, protractor, dividers, pair of compasses, pencils, writing and coloured pens, an iPad, and the PadPilot ATPL iBooks. When are the revision dates and examinations in 2018/2019? 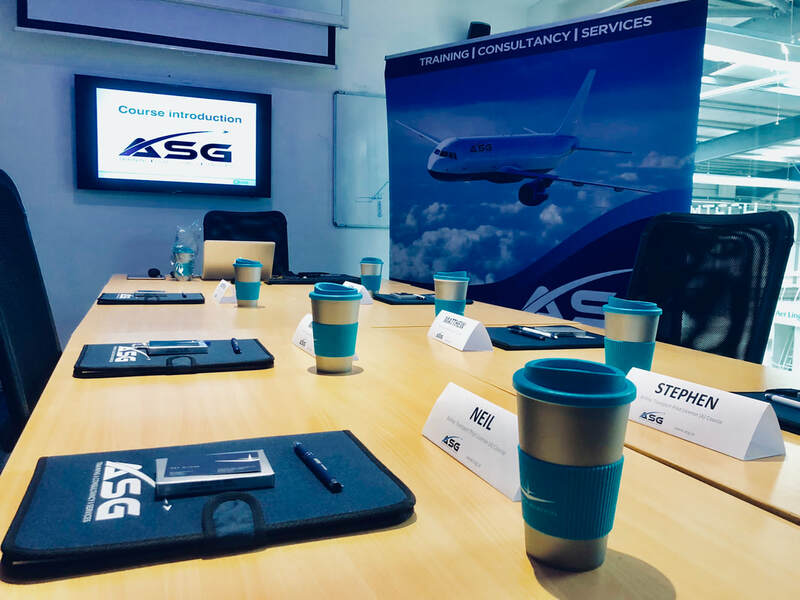 At ASG, our revision modules are conducted every two months in time for the Irish Aviation Authority (IAA) examination schedule. So, for example, we have revision modules in early December for the December sitting. In early February 2019 we will be conducting refresher training days for the IAA’s February sitting and so on, throughout the year.